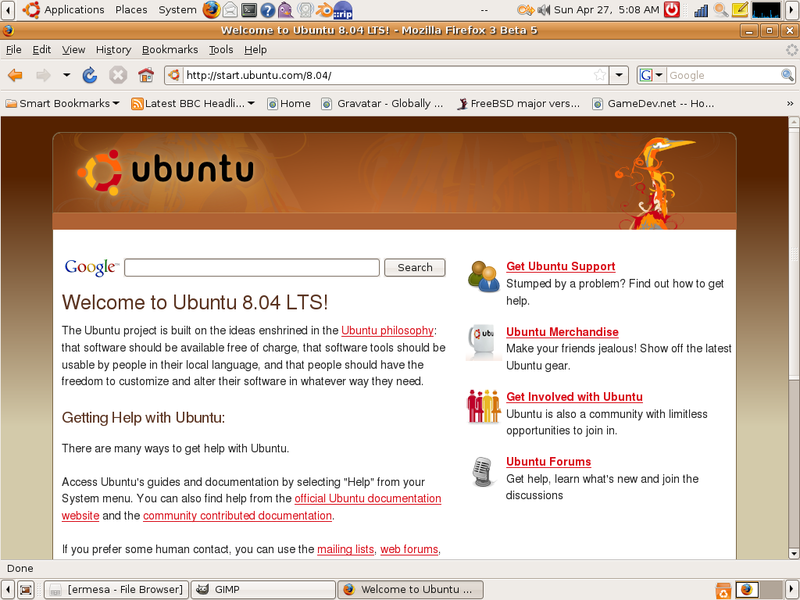 Last weekend, it had been a few days since the latest Ubuntu hit the net and I hadn’t heard of any major upgrade SNAFUs so I decided to upgrade. I wanted to record my absolute first impressions without doing much, just to see how I felt. The upgrade went by without anything bad happening. My wireless connection still works and nothing major seems to have gone wrong. 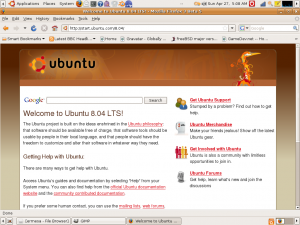 I went through each of the things I’d heard hyped about in Ubuntu and checked to see how they had changed. 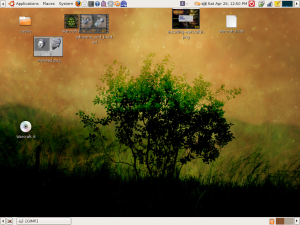 Here’s the desktop I had before the upgrade. 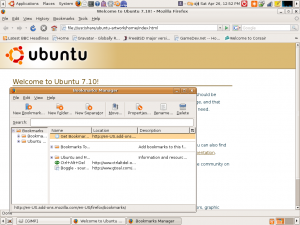 It was in the selection of desktops that came standard with Ubuntu. 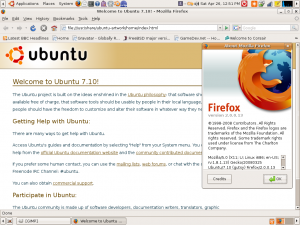 I was curious whether it would automatically change to the new background when I updated. 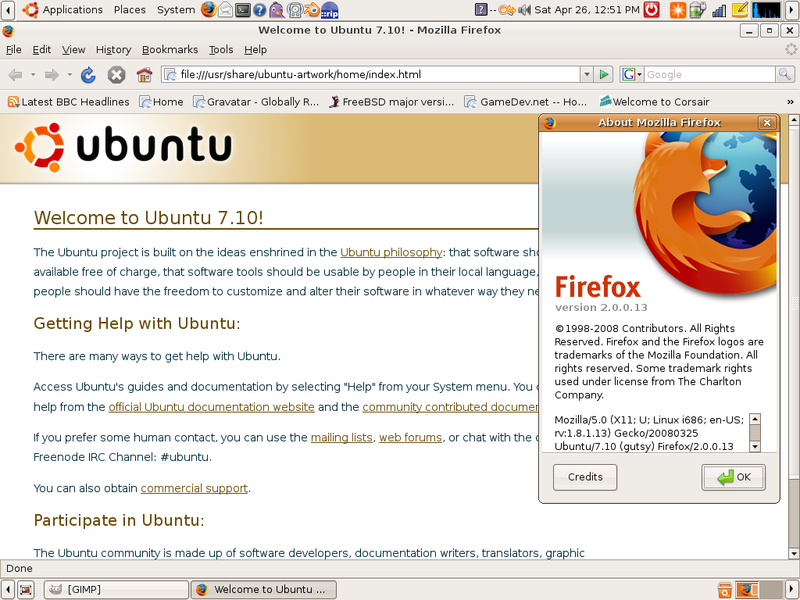 It did NOT change automatically, so I went ahead and changed it myself. I really like the look of this desktop. It’s almost the perfect background. 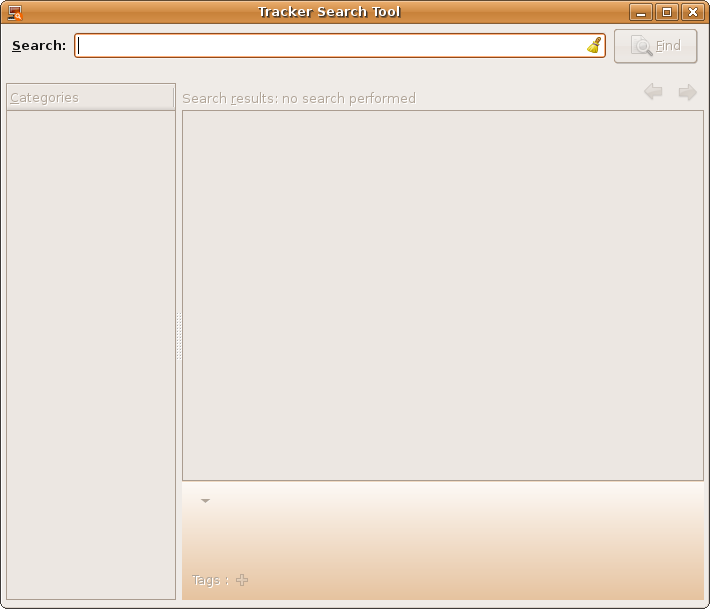 It’s not as spartan as the previous Ubuntu default of shades of brown. Yet it’s not too flashy or busy. It seems to strike the right balance and I could see some non-Linux people asking me where I got that cool background from. I really like it even more as I look at it. Another interesting thing that changed is that the Warcraft III CD now has the same icon on the desktop as it would have in a Windows desktop. I think it’s neat – especially as that’s what the creators of the CD would want. However, in terms of the Human Interface Guide (HIG), I’m not sure it’s good because people may be looking for the CD icon and may not want to hunt for a new icon each time. 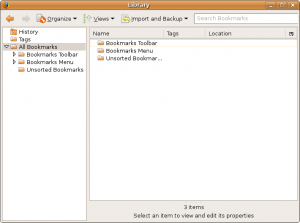 After all, while I do have some clutter on the desktop, I’ve seen people with so many icons on the desktop you can’t even see the background. You can see that I was up really early making the screenshot. I was woken up by a rude person who decided to share his car stereo with everyone at 0300. 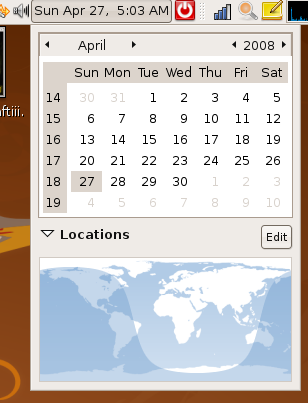 So the neat thing with the calendar is this little screen that shows where in the world it is sunlit. Also, you can add in time zones that you want to keep track of. So if you have a friend, family member, lover, etc in another time zone, you can see at a glance whether or not they’d appreciate a call from you. 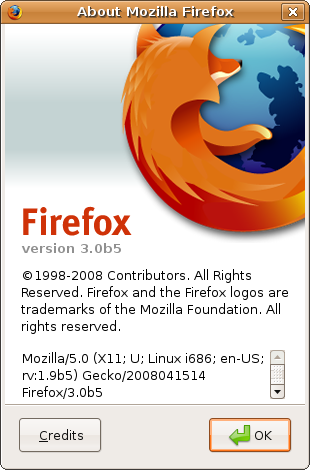 Another thing everyone kept talking about was Firefox. 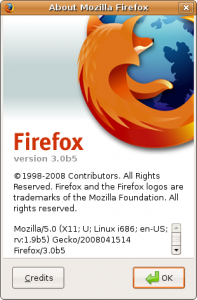 Ubuntu 8.04 comes with Firefox 3 beta 5. 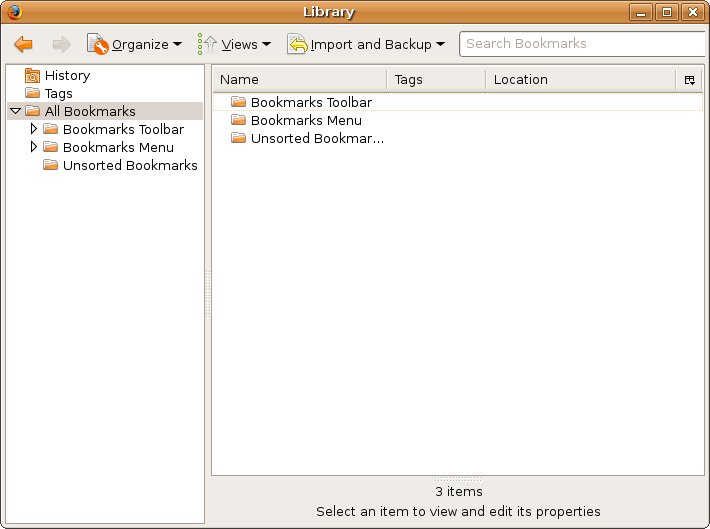 Firefox 3 is a huge change over from 2 in that they are moving from bookmark files to a bookmark relational database – complete with tagging. 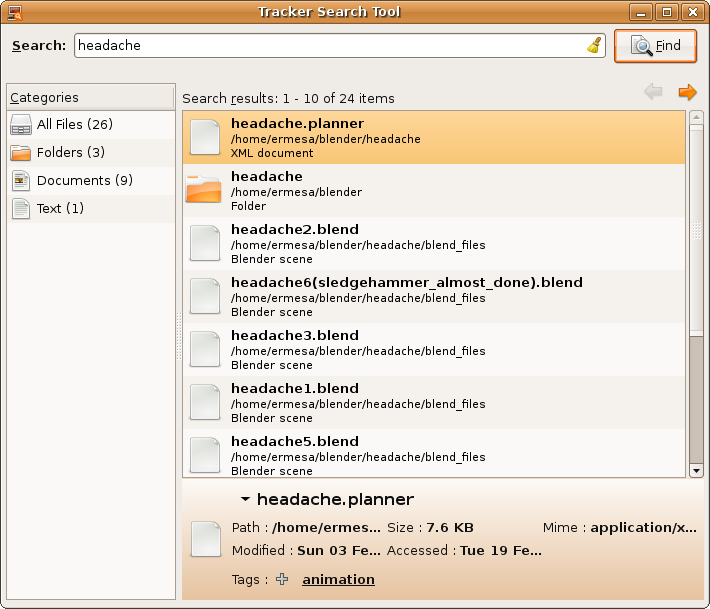 They were also supposed to be changing the them to match better in Gnome. I didn’t see any difference. 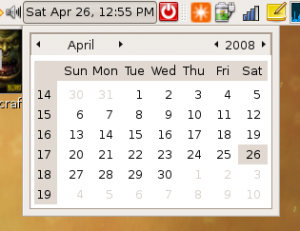 I don’t know if this is because they’re waiting for the final release version to add that in or if Ubuntu had mucked with the theme. 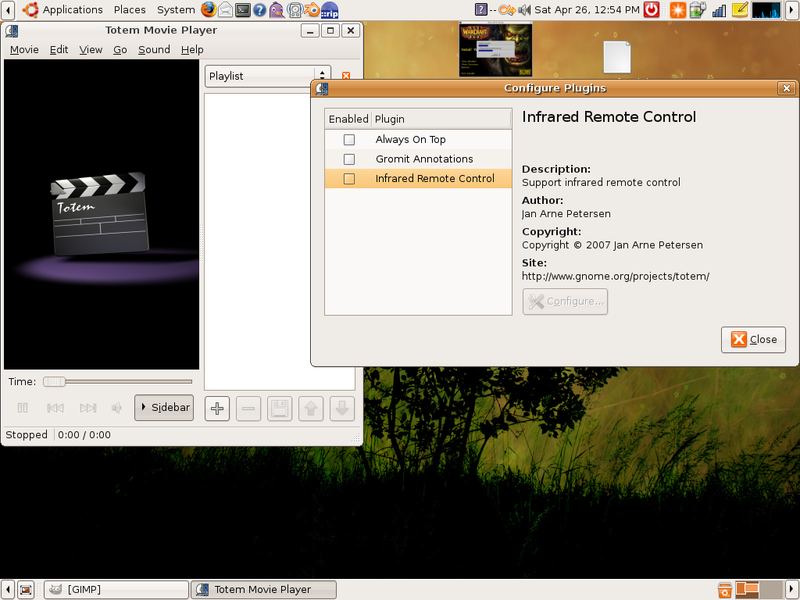 For 8.04 there are two new plugins – YouTube and MythTv. I was able to get the Youtube plugin to work extremely easily, but I couldn’t figure out how to make the MythTv plugin show anything. 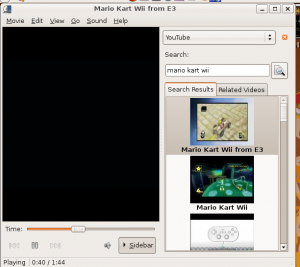 Above you can see the results of the Youtube search for Mario Kart Wii. The video played flawlessly. 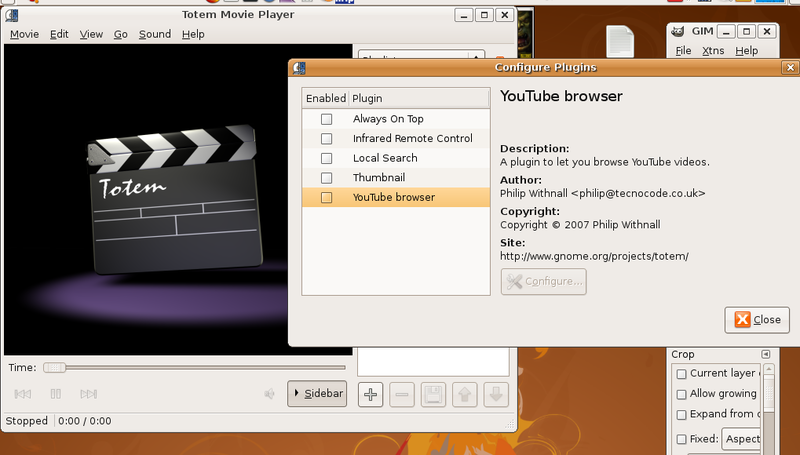 Unfortunately, GIMP’s screenshot wouldn’t capture the video playing in Totem so all I have is a black screen in this screenshot, but it actually works. 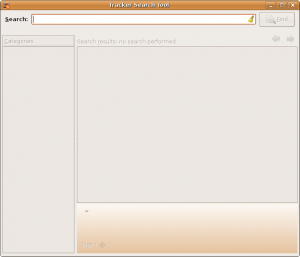 Overall, this upgrade left a very good impression of Ubuntu 8.04. It seems they really tried hard to make sure that everything worked, a good thing since this is a Long Term Support (LTS) release. 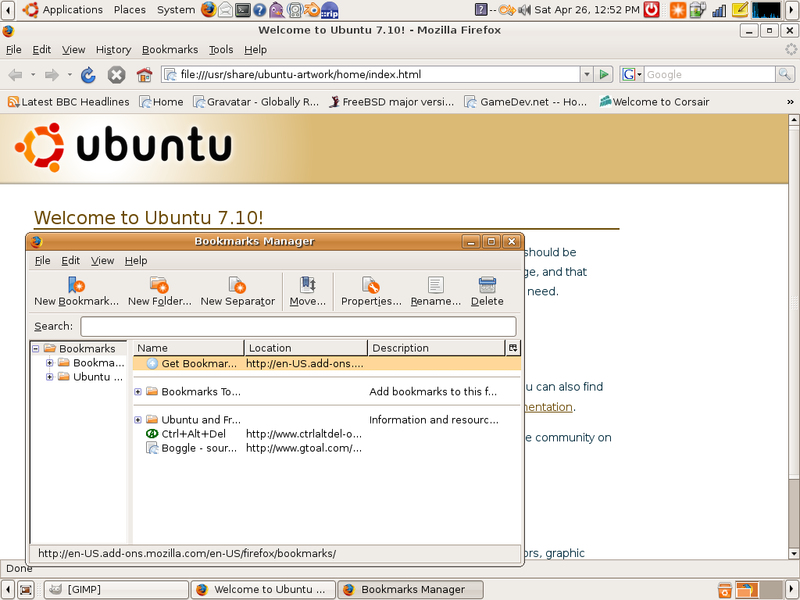 My upgrade went off without a hitch and I can recommend it to anyone who wants a good, easy to use Linux distro. Another neat feature of the Ubuntu 8.04 is that on my laptop, it now dims the screen when it’s inactive, saving me on battery power! It never did this before and I didn’t do any extra configurations. 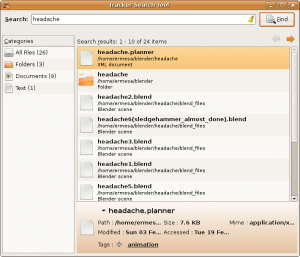 Hurray for the hard workers in the Ubuntu team! I like Hardy heron’s features, something I noticed is that now, after you boot 30 times, it won’t switch to console mode to show fsck, it will stick to the splash screen. Upgrades don’t tend to change settings, so that’s the reason you have to opt-in for the wallpaper, I think there are more Hardy related things you have to opt-in if you made an upgrade, but I really only care about the wallpaper, it is awesome, people also complimented me about it. It was very hard to upgrade to hardy for me, mostly since I did one from feisty, it also seems the upgrade comes with surprise issues for nvidia users, but once you get over them it is really a good version. I luckily or unluckily (depending on your POV) don’t have any nVidia or ATI issues with this laptop because it was a really cheap laptop that I bought as my travel laptop. (If only the EEE PC had been out back then!) 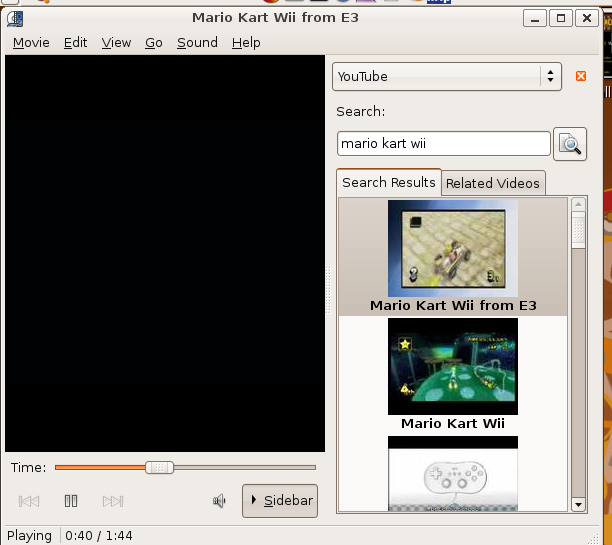 So I don’t have any 3D acceleration issues. 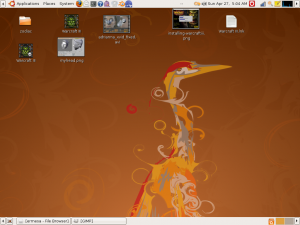 Sure I can’t run Compiz, but I’ve come to find it a bit over-rated as you’ll see if you peruse the blog.